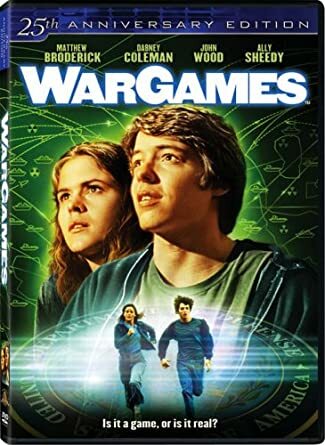 WarGames is a 1983 American Cold War science-fiction film written by Lawrence Lasker and Walter F. Parkes and directed by John Badham. The film stars Matthew Broderick, Dabney Coleman, John Wood, and Ally Sheedy. The film follows David Lightman (Broderick), a young hacker who unwittingly accesses WOPR (War Operation Plan Response), a United States military supercomputer originally programmed to predict possible outcomes of nuclear war. Lightman gets WOPR to run a nuclear war simulation, originally believing it to be a computer game. The computer, now tied into the nuclear weapons control system and unable to tell the difference between simulation and reality, attempts to start World War III. I love this movie. Kind of reminds me of a more modern day version of Fail-Safe. Saw Larry Hagman in 2006.
jfko6 wrote: Saw Larry Hagman in 2006. Very cool -- he did a great job in Fail-Safe. Powerful film.